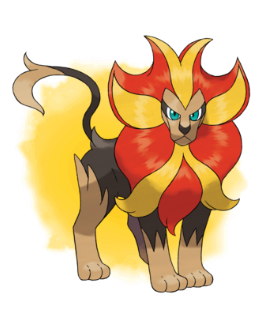 Species Pyroar Nickname (default, save lang) OT フラダリ TID 10123 Distribution Local Wireless Location a Pokémon Center Dates Oct 01 to Nov 11, 2016 PID Cannot Be Shiny Games All Regions 3DS: ORAS Lv. 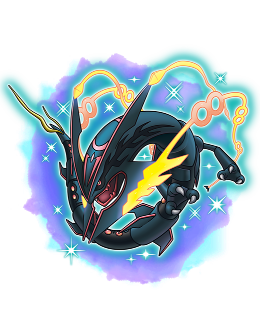 49 Nature Random Ability Unnerve (2) Item None Card Per Save Only One Allowed Moves (ITALIC means Relearnable) Hyper Voice Fire Blast Dark Pulse (None) WC ID 182: 「フレアだんフラダリの　カエンジシ」's receiving text 0x07 Thank you for coming to the Pokémon Center! Please pick up your gift from the delivery girl in the game. 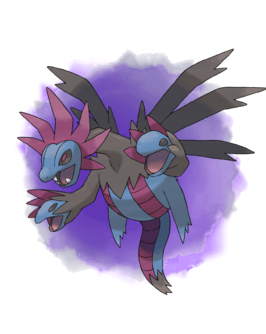 Species Hydreigon Nickname (default, save lang) OT ゲーチス TID 06232 Distribution Local Wireless Location a Pokémon Center Dates Oct 01 to Nov 11, 2016 PID Cannot Be Shiny Games All Regions 3DS: ORAS Lv. 52 Nature Random Ability Levitate (1) Item Life Orb Card Per Save Only One Allowed Moves (ITALIC means Relearnable) Dragon Rush Crunch Rock Slide Frustration WC ID 181: 「プラズマだんゲーチスの　サザンドラ」's receiving text 0x07 Thank you for coming to the Pokémon Center! Please pick up your gift from the delivery girl in the game. 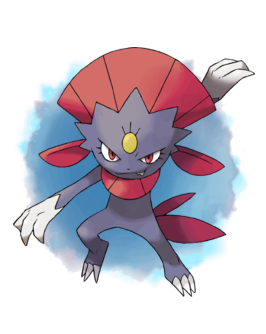 Species Weavile Nickname (default, save lang) OT アカギ TID 09286 Distribution Local Wireless Location a Pokémon Center Dates Oct 01 to Nov 11, 2016 PID Cannot Be Shiny Games All Regions 3DS: ORAS Lv. 48 Nature Random Ability Pressure (1) Item Sitrus Berry Card Per Save Only One Allowed Moves (ITALIC means Relearnable) Night Slash Ice Punch Brick Break X-Scissor WC ID 180: 「ギンガだんアカギの　マニューラ」's receiving text 0x07 Thank you for coming to the Pokémon Center! Please pick up your gift from the delivery girl in the game. 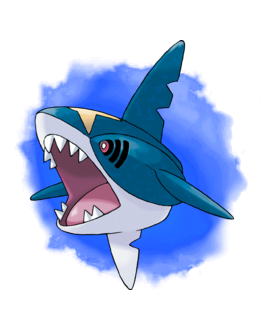 Species Sharpedo Nickname (default, save lang) OT アオギリ TID 11214 Distribution Local Wireless Location a Pokémon Center Dates Oct 01 to Nov 11, 2016 PID Cannot Be Shiny Games All Regions 3DS: ORAS Lv. 43 Nature Random Ability Rough Skin (1) Item Sharpedonite Card Per Save Only One Allowed Moves (ITALIC means Relearnable) Scary Face Slash Poison Fang Crunch WC ID 179: 「アクアだんアオギリの　サメハダー」's receiving text 0x07 Thank you for coming to the Pokémon Center! Please pick up your gift from the delivery girl in the game. 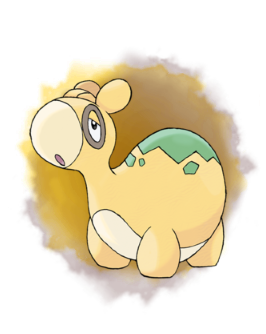 Species Camerupt Nickname (default, save lang) OT マツブサ TID 11214 Distribution Local Wireless Location a Pokémon Center Dates Oct 01 to Nov 11, 2016 PID Cannot Be Shiny Games All Regions 3DS: ORAS Lv. 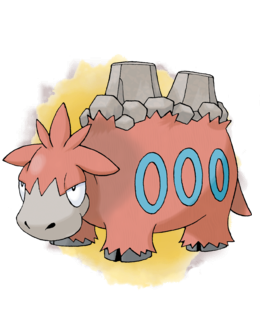 43 Nature Random Ability Solid Rock (2) Item Cameruptite Card Per Save Only One Allowed Moves (ITALIC means Relearnable) Curse Take Down Rock Slide Yawn WC ID 178: 「マグマだんマツブサの　バクーダ」's receiving text 0x07 Thank you for coming to the Pokémon Center! Please pick up your gift from the delivery girl in the game. 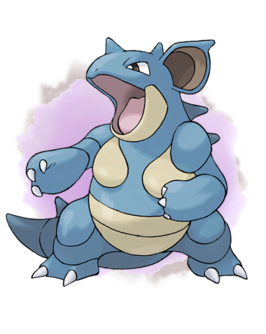 Species Nidoqueen Nickname (default, save lang) OT サカキ TID 01294 Distribution Local Wireless Location a Pokémon Center Dates Oct 01 to Nov 11, 2016 PID Cannot Be Shiny Games All Regions 3DS: ORAS Lv. 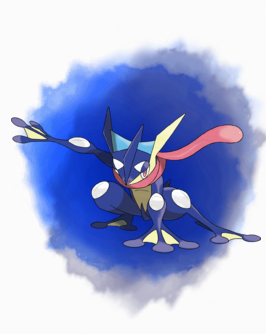 41 Nature Random Ability Poison Point (1) Item None Card Per Save Only One Allowed Moves (ITALIC means Relearnable) Tail Whip Double Kick Poison Sting Body Slam WC ID 177: 「ロケットだんサカキの　ニドクイン」's receiving text 0x07 Thank you for coming to the Pokémon Center! Please pick up your gift from the delivery girl in the game. 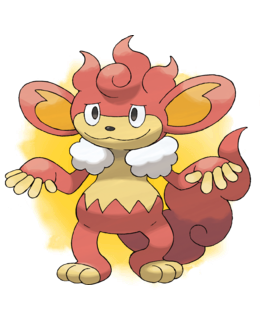 Species Simisear Nickname (default, save lang) OT そうせんきょ TID 00720 Distribution Local Wireless Location Pokémon Movie 16 Dates Jun 25 to Jul 15, 2016 PID Cannot Be Shiny Games All Regions 3DS: XYORAS Lv. 5 Nature Random Ability Gluttony (1) Item Air Balloon Card Per Save Only One Allowed Moves (ITALIC means Relearnable) Work Up Hone Claws Power-Up Punch Giga Impact WC ID 176: 「そうせんきょ７２０いの　バオッキー」's receiving text 0x2B Thank you for playing Pokémon! Please pick up your gift from the delivery girl in any Pokémon Center. Species Jirachi Nickname (default, save lang) OT ひこぼし TID 08076 Distribution Local Wireless Location PC Tohoku Dates Aug 01 to Aug 31, 2016 PID Cannot Be Shiny Games All Regions 3DS: XY Lv. 100 Nature Random Ability Serene Grace (1) Item Star Piece Card Per Save Only One Allowed Moves (ITALIC means Relearnable) Wish Cosmic Power Swift Meteor Mash WC ID 174: 「たなばたまつり2016　ジラーチ」's receiving text 0x51 Thank you for coming to the Pokémon Center Tohoku! Please pick up your gift from the delivery girl in the game. 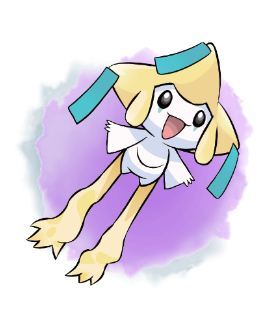 Species Jirachi Nickname (default, save lang) OT おりひめ TID 08076 Distribution Local Wireless Location PC Tohoku Dates Aug 01 to Aug 31, 2016 PID Cannot Be Shiny Games All Regions 3DS: ORAS Lv. 100 Nature Random Ability Serene Grace (1) Item Star Piece Card Per Save Only One Allowed Moves (ITALIC means Relearnable) Wish Cosmic Power Swift Meteor Mash WC ID 174: 「たなばたまつり2016　ジラーチ」's receiving text 0x51 Thank you for coming to the Pokémon Center Tohoku! Please pick up your gift from the delivery girl in the game. Distributed locally to ORAS players to celebrate the opening of the Tokyo Skytree Town Pokemon Center. Species Rayquaza Nickname (default, save lang) OT ポケセン TID 07066 Distribution Local Wireless Location a lovely place Dates Jul 05 to Sep 04, 2016 PID Shiny PID Games All Regions 3DS: ORAS Lv. 100 Nature Random Ability Air Lock (1) Item Comet Shard Card Per Save Only One Allowed Moves (ITALIC means Relearnable) Dragon Ascent Draco Meteor Fly Celebrate WC ID 171: 「PCスカイツリータウン　オープンきねん」's receiving text 0x07 Thank you for coming to the Pokémon Center! Please pick up your gift from the delivery girl in the game. 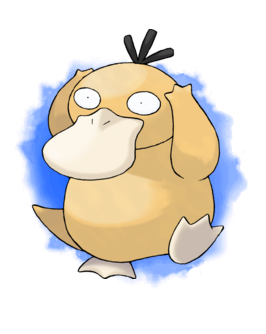 Mar 05 to Oct 16, 2016 PID Cannot Be Shiny Games All Regions 3DS: ORAS Lv. 20 Nature Lax Ability Cloud Nine (2) Item None Card Per Save Only One Allowed Moves (ITALIC means Relearnable) Confusion Disable Psych Up Amnesia WC ID 165: 「マスダのコダック　プレゼント」's receiving text 0x3A Thank you for coming to the Pokémon event! Please pick up your gift from the delivery girl in any Pokémon Center. 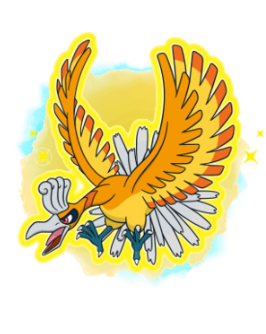 Species Ho-Oh Nickname (default, save lang) OT ＰＣキョウト TID 03166 Distribution Local Wireless Location a Pokémon Center Dates Mar 15 to May 08, 2016 PID Shiny PID Games All Regions 3DS: ORAS Lv. 50 Nature Random Ability Pressure (1) Item Sacred Ash Card Per Save Only One Allowed Moves (ITALIC means Relearnable) Sacred Fire Brave Bird Recover Celebrate WC ID 164: 「ＰＣキョウト　オープンきねん」's receiving text 0x07 Thank you for coming to the Pokémon Center! Please pick up your gift from the delivery girl in the game. Jul 16 to Sep 30, 2016 PID Cannot Be Shiny Games All Regions 3DS: XYORAS Lv. 100 Nature Random Ability Protean (HA) Item Master Ball Card Per Save Only One Allowed Moves (ITALIC means Relearnable) Hydro Cannon Gunk Shot Mat Block Happy Hour WC ID 162: 「ゲッコウガ　プレゼント」's receiving text 0x04 Thank you for coming to see the 2016 Pokémon Movie! Please pick up your gift from the delivery girl in any Pokémon Center. Species Pikachu Nickname (default, save lang) OT メガトウキョ TID 12124 Distribution Local Wireless Location a Pokémon Center Dates Jun 01 to Jun 30, 2016 PID Shiny PID Games All Regions 3DS: ORAS Lv. 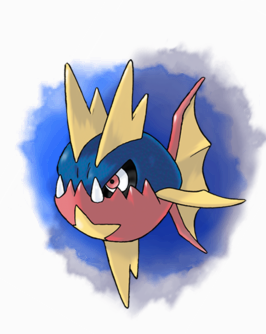 36 Nature Random Ability Lightning Rod (HA) Item None Card Per Save Only One Allowed Moves (ITALIC means Relearnable) Thunder Substitute Play Nice Hold Hands WC ID 144: 「メガトウキョーの　ピカチュウ」's receiving text 0x07 Thank you for coming to the Pokémon Center! Please pick up your gift from the delivery girl in the game. or Compound Eyes (2) Item None Card Per Save Only One Allowed Moves (ITALIC means Relearnable) Stun Spore Gust Light Screen Struggle Bug WC ID 143: 「ボールのもようの　ビビヨン」's receiving text 0x07 Thank you for coming to the Pokémon Center! Please pick up your gift from the delivery girl in the game. This is one of the Pokemon that were distributed at Pokemon Center in Japan, as part of the Mega Evolution Eggs series. The wonder card ID for the cards change with week rotation. Thanks to Kirzi for the 0142 Numel from the Mega Evolution Eggs series. Species Numel (EGG) Nickname (default, save lang) OT (recipient) TID (recipient) Distribution Local Wireless Location a Pokémon Center Dates (Various) PID Cannot Be Shiny Games All Regions 3DS: ORAS Lv. 1 Nature Random Ability Simple (2) Item None Card Per Save Only One Allowed Moves (ITALIC means Relearnable) Growl Tackle Iron Head (None) WC: 「メガシンカするポケモンの　タマゴ」's receiving text 0x07 Thank you for coming to the Pokémon Center! Please pick up your gift from the delivery girl in the game. This is one of the Pokemon that were distributed in Pokemon Centers in Japan, as part of the Strong★Cute Pikachu Mega Campaign. The wonder card ID and trainer IDS for the cards change per week. 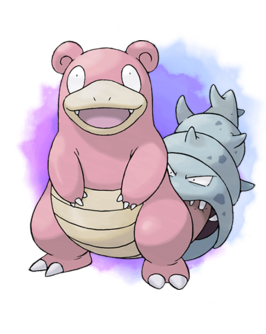 Species Slowbro Nickname (default, save lang) OT ポケセン TID (Various) Distribution Local Wireless Location a Pokémon Center Dates (Various) PID Cannot Be Shiny Games All Regions 3DS: ORAS Lv. 100 Nature Quiet Ability Oblivious (1) Item Slowbronite Card Per Save Only One Allowed Moves (ITALIC means Relearnable) Scald Trick Room Slack Off Iron Tail WC: 「つよ★カワ　ピカチュウのメガキャンペーン」's receiving text 0x07 Thank you for coming to the Pokémon Center! Please pick up your gift from the delivery girl in the game. Species Altaria Nickname (default, save lang) OT ポケセン TID (Various) Distribution Local Wireless Location a Pokémon Center Dates (Various) PID Cannot Be Shiny Games All Regions 3DS: ORAS Lv. 100 Nature Modest Ability Cloud Nine (HA) Item Altarianite Card Per Save Only One Allowed Moves (ITALIC means Relearnable) Hyper Voice Fire Blast Protect Agility WC: 「つよ★カワ　ピカチュウのメガキャンペーン」's receiving text 0x07 Thank you for coming to the Pokémon Center! Please pick up your gift from the delivery girl in the game. 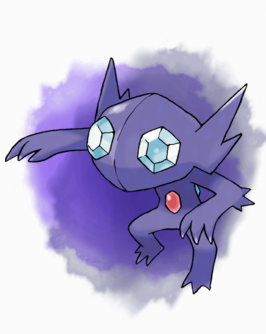 Species Sableye Nickname (default, save lang) OT ポケセン TID (Various) Distribution Local Wireless Location a Pokémon Center Dates (Various) PID Cannot Be Shiny Games All Regions 3DS: ORAS Lv. 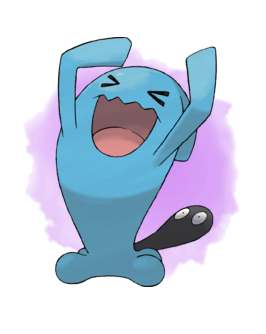 100 Nature Bold Ability Prankster (HA) Item Sablenite Card Per Save Only One Allowed Moves (ITALIC means Relearnable) Will-O-Wisp Recover Taunt Shock Wave WC: 「つよ★カワ　ピカチュウのメガキャンペーン」's receiving text 0x07 Thank you for coming to the Pokémon Center! Please pick up your gift from the delivery girl in the game. 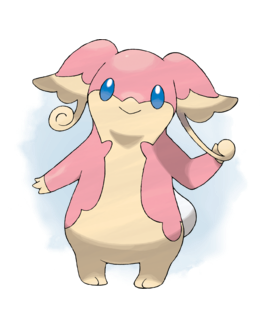 Species Audino Nickname (default, save lang) OT ポケセン TID (Various) Distribution Local Wireless Location a Pokémon Center Dates (Various) PID Cannot Be Shiny Games All Regions 3DS: ORAS Lv. 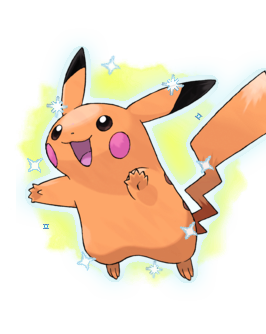 100 Nature Relaxed Ability Regenerator (2) Item Audinite Card Per Save Only One Allowed Moves (ITALIC means Relearnable) Trick Room Heal Pulse Simple Beam Thunderbolt WC: 「つよ★カワ　ピカチュウのメガキャンペーン」's receiving text 0x07 Thank you for coming to the Pokémon Center! Please pick up your gift from the delivery girl in the game. 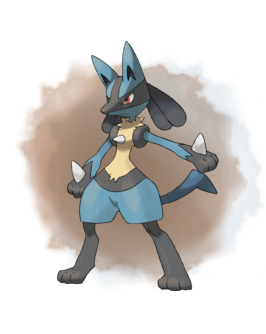 Species Lucario Nickname (default, save lang) OT ポケセン TID (Various) Distribution Local Wireless Location a Pokémon Center Dates (Various) PID Cannot Be Shiny Games All Regions 3DS: ORAS Lv. 100 Nature Jolly Ability Inner Focus (2) Item Lucarionite Card Per Save Only One Allowed Moves (ITALIC means Relearnable) Close Combat Aura Sphere Flash Cannon Quick Attack WC: 「つよ★カワ　ピカチュウのメガキャンペーン」's receiving text 0x07 Thank you for coming to the Pokémon Center! Please pick up your gift from the delivery girl in the game. The wonder card ID for the cards change per week. 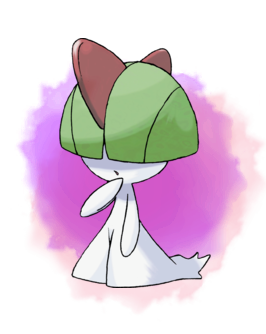 Species Ralts (EGG) Nickname (default, save lang) OT (recipient) TID (recipient) Distribution Local Wireless Location a Pokémon Center Dates (Various) PID Cannot Be Shiny Games All Regions 3DS: ORAS Lv. 1 Nature Random Ability Telepathy (HA) Item None Card Per Save Only One Allowed Moves (ITALIC means Relearnable) Growl Encore (None) (None) WC: 「メガシンカするポケモンの　タマゴ」's receiving text 0x07 Thank you for coming to the Pokémon Center! Please pick up your gift from the delivery girl in the game. The wonder card ID for the cards changes per week. 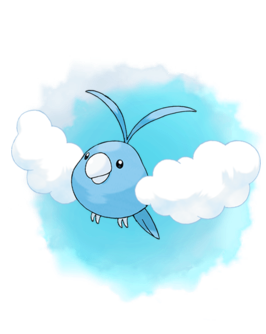 Species Swablu (EGG) Nickname (default, save lang) OT (recipient) TID (recipient) Distribution Local Wireless Location a Pokémon Center Dates (Various) PID Cannot Be Shiny Games All Regions 3DS: ORAS Lv. 1 Nature Random Ability Cloud Nine (HA) Item None Card Per Save Only One Allowed Moves (ITALIC means Relearnable) Peck Growl Hyper Voice (None) WC: 「メガシンカするポケモンの　タマゴ」's receiving text 0x07 Thank you for coming to the Pokémon Center! Please pick up your gift from the delivery girl in the game. 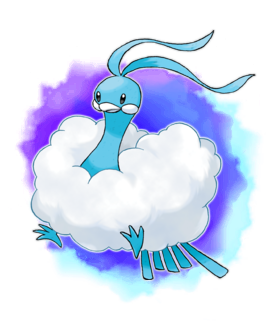 Species Carvanha (EGG) Nickname (default, save lang) OT (recipient) TID (recipient) Distribution Local Wireless Location a Pokémon Center Dates (Various) PID Cannot Be Shiny Games All Regions 3DS: ORAS Lv. 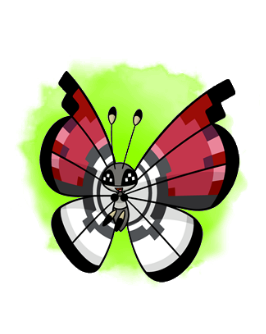 1 Nature Random Ability Speed Boost (HA) Item None Card Per Save Only One Allowed Moves (ITALIC means Relearnable) Leer Bite Hydro Pump (None) WC: 「メガシンカするポケモンの　タマゴ」's receiving text 0x07 Thank you for coming to the Pokémon Center! Please pick up your gift from the delivery girl in the game.